The means of replacing lost teeth have evolved over the years. In the past, prosthetic teeth were made out of all sorts of materials like wood or ivory. These false teeth were very uncomfortable and not very convincing. Today, however, prosthetic teeth are functional and aesthetically appealing. They are also capable of preventing the many complications that stem from lost teeth. Your Grand Prairiedentist, Dr. Quinn Smith, explains why dental implants are the current pinnacle of tooth replacement. There are three parts to a dental implant: the post, the abutment, and the crown. When an implant is placed, the post is first inserted into the jaw and gums, where it fuses with the jawbone in a process called osseointegration. The fusion of post and jawbone ensures that the implant will remain firmly in place. It also helps the dental implant feel more like a natural tooth because it possesses an anchor in the jaw just as a natural tooth does. However, the benefits of the post do not end there. The presence of the post in the jaw triggers the resumption of a flow of nutrients that ceased when the natural tooth was lost. Without these nutrients, the surrounding teeth and jaw sometimes begin to suffer. Thus when a tooth falls out, a process called the domino effect, during which nearby teeth begin to fall like stacked dominos, begins. A loss of jawbone density may also occur as well as a particularly unsavory condition known as facial collapse. However, the dental implant prevents all of these complications because it restores nutrition to the area. 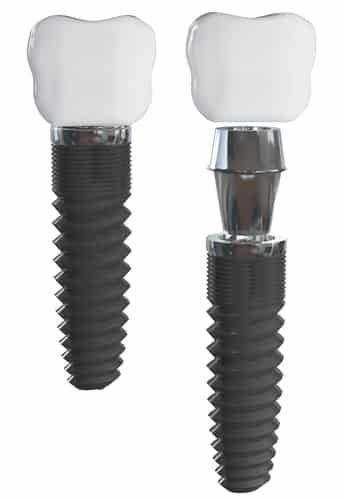 The next part of the dental implant, the abutment, serves to connect the crown to the post. The crown itself is a convincing and custom-made prosthetic that is both functional and cosmetically pleasing. The crown will match the appearance of surrounding teeth, making it extremely difficult to pick out which is the prosthetic tooth. Have you lost a tooth? You can replace it with a dental implant. Schedule a visit with your Grand Prairie dentist, Dr. Smith, today by calling 972-262-5111. Our 75052 dental office welcomes patients from Grand Prairie, Arlington, South Dallas, Cedar Hill, Duncanville, and surrounding communities. Picture a nice day at the park, just you and your kids. The sun is bright and warm. A soft breeze washes over you, carrying the soft tunes of bird song. Then suddenly you hear it: a loud bang and your child crying. As you are running, you notice the hand clasped firmly in front of the mouth and a trickle of blood seeping through the fingers. Do you know what to do? A dental emergency can occur for you or your child at any moment. Knowing the proper steps to take in the event of an emergency can offer you greater peace of mind and better care in the event of any trouble. Here to share some advice about dental emergencies is your Grand Prairie dentist, Dr. Quinn Smith. He discusses three common dental emergencies. 1. Knocked-out tooth. If you or your child has a tooth knocked out, your first priority is to rinse the mouth with warm water. Doing so can remove bacteria and lower the risk of an infection. Next, look for the tooth. If you are able to find it, rinse it with water and place it back in the empty socket. If you are uncomfortable replacing the tooth, put it in a glass of milk. Then call your Grand Prairie emergency dentist, Dr. Smith, and bring the glass of milk with you to your dental visit. 2. Broken tooth. In the event of a broken tooth, rinse your mouth with warm water. The broken tooth is at risk of infection, and rinsing can remove some bacteria. Next apply a cold compress to limit any swelling, and call Dr. Smith. 3. Cracked tooth. Just like a broken tooth, a cracked tooth is at an increased risk of infection. Rinse your mouth and apply a cold compress. Then call Dr. Smith for dental care. 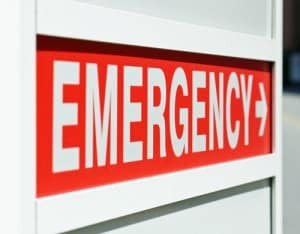 If you experience a dental emergency, prompt care is vital. Call your Grand Prairie emergency dentist, Dr. Smith, at 972-262-5111. Our 75052 dental office welcomes patients from Grand Prairie, Arlington, South Dallas, Cedar Hill, Duncanville, and surrounding communities. Did you know that 38 percent of children grind their teeth? If you’ve even seen your child grinding his or her teeth, you may have found the sawing noise and the sight of the clenched jaw moving back and forth to be disconcerting. After all, how could it not be bad for your child’s teeth? Surely, dental assistance is necessary, right? Before you schedule a dental visit, you might like to know that dental treatment typically isn’t necessary for treating teeth grinding, or bruxism, in children. Here to discuss the matter further is your Grand Prairie dentist, Dr. Quinn Smith. Although nearly 40 percent of children grind their teeth, treatment for bruxism in children is rare. Kids typically outgrow the habit of grinding their teeth, a habit that begins around age three, by age six without significant damage to their teeth. So as disturbing as you may find your child’s bruxism, you may not need to call your Grand Prairie children’s dentist, Dr. Quinn, just yet. There are some cases, however, when dental treatment is necessary. If your child complains about pain in his or her jaw and teeth that does not subside, seek dental assistance. Bruxism can wear down teeth and cause problems with the temporomandibular joint (TMJ), the joint that connects the lower jaw to the skull, although such problems are rare in children. 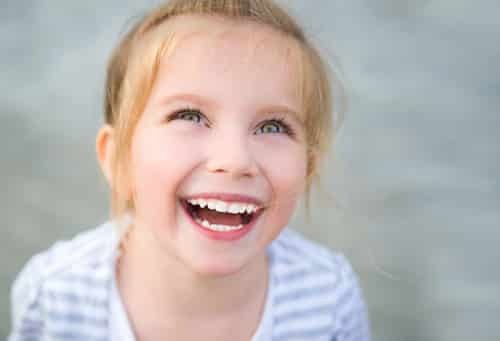 Should your child complain of these symptoms, or if you notice bruxism to be a habit that continues well past the age of six, dental treatment could become necessary. Dr. Smith may prescribe a sleep guard that protects teeth from wear and repositions the jaw to relieve stress on the TMJ. Regular dental visits are vital to your child’s oral health. If your child hasn’t had a cleaning in the past six months, schedule a visit with your Grand Prairie children’s dentist, Dr. Smith, today by calling 972-262-5111. Our 75052 dental office welcomes patients from Grand Prairie, Arlington, South Dallas, Cedar Hill, Duncanville, and surrounding communities. 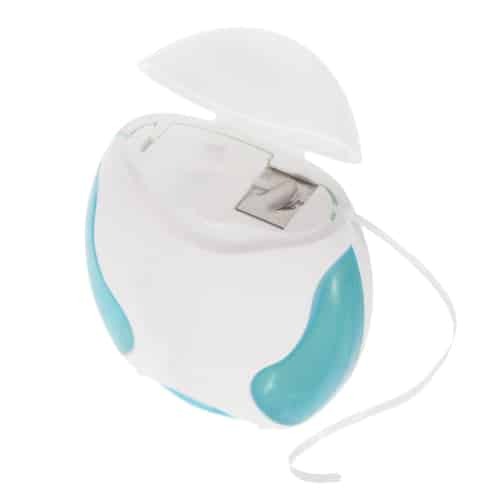 Flossing can be a bit of a sore subject when it comes to dental care. Not only can flossing cause temporarily sensitive gums if not done regularly, but it can also lead to arguments between parents and their children. For some reason, kids don’t want to floss. Unfortunately, enumerating the benefits of flossing will probably do little to change your child’s mind. Children seem to have the innate ability to overlook the fact that floss can clean portions of their teeth where a toothbrush cannot. Luckily, your GrandPrairie dentist, Dr. Quinn Smith, is here to help with tips for teaching your child to floss. Because kids don’t always view good oral health as a reward, it is sometimes necessary to use a prize for motivation. One tool to help you introduce a prize is a brushing and flossing chart. This chart will allow you to keep track of your child’s brushing and flossing. The chart will also map out the path to the reward for your child. Challenge your child to complete a set number of weeks of brushing and flossing in exchange for a prize. If you’re lucky, your child just may develop a habit during the challenge. To access your printable brushing and flossing chart, visit the following link and choose your favorite design: http://www.kidpointz.com/printable-charts/daily-routine-charts/brushing-teeth-charts/. 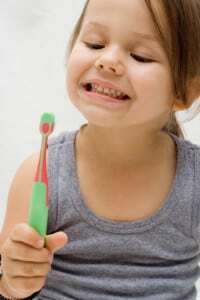 Instruct your child to use about 18 inches of floss and leave 2-4 inches between hands. Tell your child to hold the floss between his or her index fingers and thumbs. Remind your child to be gentle and to slide the floss between teeth and up and down the side of each tooth. Demonstrate proper flossing technique for your child. Regular dental visits are another major part of your child’s oral health. These visits can reinforce brushing and flossing skills and aid in the removal of stubborn plaque and tartar. If your child has not attended a dental visit in the last six months, it is time for a checkup. Schedule a visit with your Grand Prairie children’s dentist, Dr. Smith, today by calling 972-262-5111. Our 75052 dental office welcomes patients from Grand Prairie, Arlington, South Dallas, Cedar Hill, Duncanville, and surrounding communities. Does your smile light up a room? If the answer is no, you deserve better. Your smile should wow everyone fortunate enough to see it. Having a beautiful smile is a major confidence booster. So if you’re unhappy with what you see in the mirror, if your smile is making you grimace, don’t settle. Here to help is your GrandPrairie cosmetic dentist, Dr. Quinn Smith. He has tips for achieving the attractive smile you’ve always wanted. A large part of the ideal smile is the color of your teeth. Even the straightest of teeth, if yellow, can leave you frowning. Thus, it is important to be sure that you protect your teeth from yellowing as best you can. A good way to do this is to examine your diet. If you consume large quantities of sugar, you may experience tooth decay. When bacteria consume sugar they produce an acid that strips the enamel from teeth. Without enamel, your teeth will be less resistant to stains. Liquids containing sugar and a dark pigment, like coffee and soda, often contribute to staining. If your teeth have already yellowed, you do have options to whiten them. Your Grand Prairie cosmetic dentist, Dr. Quinn, offers in-office and at-home whitening treatments proven to whiten your teeth several shades. In-office treatment takes about 45 minutes and shows immediate results. At-home treatment spans 1-2 weeks. Veneers are another option for stained teeth. However, they can also improve the appearance of cracked, chipped, or crooked teeth. Veneers bond the front surface of teeth, creating a beautiful, white smile. Dr. Quinn offers Lumineers by Cerinate, which unlike traditional veneers, don’t require any enamel shaving and are reversible. The smile of your dreams is completely within your grasp. If you are unhappy with your smile, don’t wait another day. Schedule a visit with your Grand Prairie cosmetic dentist, Dr. Smith, today by calling 972-262-5111. Our 75052 dental office welcomes patients from Grand Prairie, Arlington, South Dallas, Cedar Hill, Duncanville, and surrounding communities. If you wear dentures, have you ever thought of getting them stabilized with dental implants? 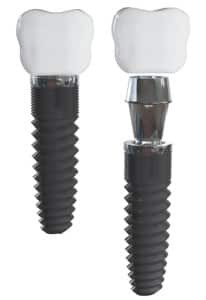 Dental implants feature titanium posts, coated with a special substance that encourages them to fuse with the jawbone. After they are placed and enough time has passed to ensure a good bonding of bone and post, small connective pieces called abutments are added. The abutments then serve as the connecters between the posts and the dentures. Through this process, dentures can be attached to the jawbone, making them feel more like natural teeth. Here to discuss the benefits of implant-retained dentures is your Grand Prairie dentist, Dr. Quinn Smith. You can do away with messy pastes – That’s right. Say goodbye to denture pastes. 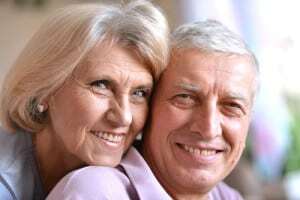 Because implant-secured dentures are connected to the jawbone, you will no longer require any type of paste. You won’t have to worry about slipping dentures – Slipping dentures can be very embarrassing. However, with the aid of implants, your dentures will no longer be at risk of slipping. The implants will hold them firmly in place while you speak and eat. No more sore gums – Because dentures do not rest on the gums but are supported by the jaw, your gums won’t feel the strain of your dentures. You may even forget that you’re wearing them at all. You can eat tough foods – Even steak is on the menu. The dental implants will hold your dentures as securely as if they were your natural teeth. You can speak better – Poorly fitting dentures can cause the facial muscles to tense in an attempt to keep dentures in place. With implant-retained dentures, you will be able to relax as you speak clearly and audibly. Don’t let dentures lower the quality of your life. If you’re unhappy with your dentures, consider implant-retained dentures. Schedule a visit with your Grand Prairie dentist, Dr. Smith, today by calling 972-262-5111. Our 75052 dental office welcomes patients from Grand Prairie, Arlington, South Dallas, Cedar Hill, Duncanville, and surrounding communities. Establishing good oral hygiene habits at a young age sets children up for a lifetime of good oral health. But teaching children to brush their teeth properly can be difficult. They may lose focus or just not want to brush their teeth. However, it’s very important not to give up. It may be tempting to think that baby teeth are destined to fall out anyway, that brushing really isn’t that important at a young age, but that just isn’t true. Children who suffer tooth decay that leads to early tooth loss often have orthodontic problems and can also suffer from infections that affect their health. So don’t give up on teaching your little one how to brush. Your Grand Prairie children’s dentist, Dr. Quinn Smith, shares some tips for teaching kids how to brush their teeth correctly. If left to their own devices, children often neglect to brush their teeth thoroughly. Therefore, when you teach children how to brush, it is good practice to stand behind them as they face the mirror so that you have a good view of what they’re doing. Teach them to separate their brushing into three phases. Have them start with the outside of their teeth, working the toothbrush in small circles over each tooth. Also be sure that they hold the toothbrush angled 45 degrees downward toward the gums. Next, have them brush the inside portion of each tooth using the same method. Lastly, have them brush the chewing, or top, surface of each tooth. To discourage them from brushing too hastily, consider brushing your teeth at the same time as your child, or set up a timer for 2-3 minutes. You can also brush for the duration of a television show’s commercial break or for the length of a favorite song. Whatever you decide, remain vigilant. Paying close attention to your child’s oral care will ensure good oral habits for years to come. Regular, six month dental visits are another important part of your child’s oral health. If your child hasn’t had a dental appointment in the past six months, it’s time for a checkup. Schedule a visit with your Grand Prairie children’s dentist, Dr. Smith, today by calling 972-262-5111. Our 75052 dental office welcomes patients from Grand Prairie, Arlington, South Dallas, Cedar Hill, Duncanville, and surrounding communities. When you meet someone, your smile is the first thing they see. We have all seen people who smile and laugh, yet cover their mouth because they are not happy with the way their smile looks. A vibrant white smile not only helps make a positive impression, but it makes you feel better about yourself and your appearance. There are a number of things that cause stained teeth, and it is difficult if not impossible to avoid them all. Aside from the aging process, coffee, tea, soda, red wine, smoking, and certain foods are a few of the common culprits of teeth stains. This is why many people choose to whiten their teeth. With revolutionary Zoom! Whitening, you can turn back the clock and transform your smile. Unlike other whitening systems, Zoom! Whitening is a simple and short procedure performed by your dentist. Not only is it safe and comfortable, but the results are immediate and long-lasting. One 45-60 minute session of Zoom! Whitening is all it takes to brighten your smile up to eight shades. Your lips and gums are covered so that only your teeth are exposed. Your dentist applies the Zoom! whitening gel and uses the specially designed Zoom! light on your teeth. Together, the light and gel gently break up and remove any stains and discoloration. This is repeated 3-4 times in 15 minute increments. After the procedure, your dentist may provide you with touch-up trays to maintain your new smile. Then, you are finished and can enjoy a brighter and whiter smile! Do you live in or around Grand Prairie? 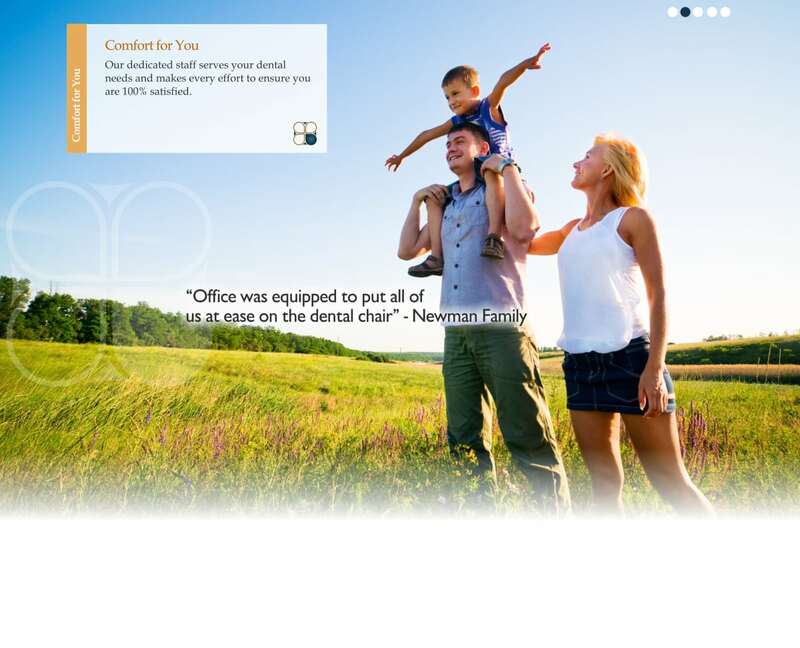 Make an appointment today with Pecan Tree Dental for your Zoom! Teeth Whitening.